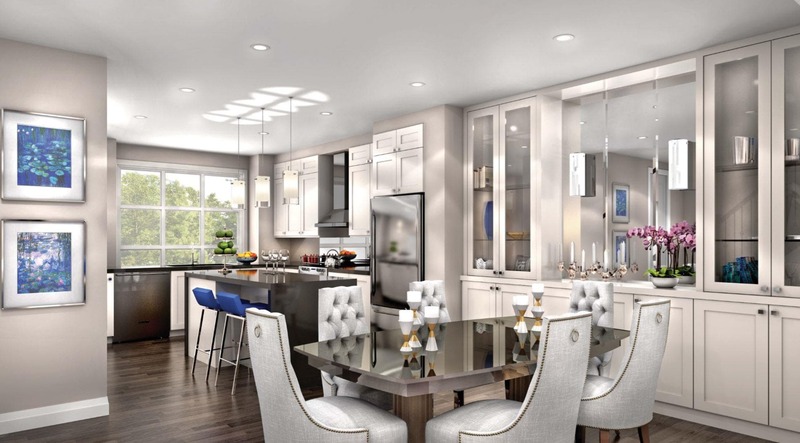 The wait is nearly over for registrants of Meadowvale Lane in Mississauga. 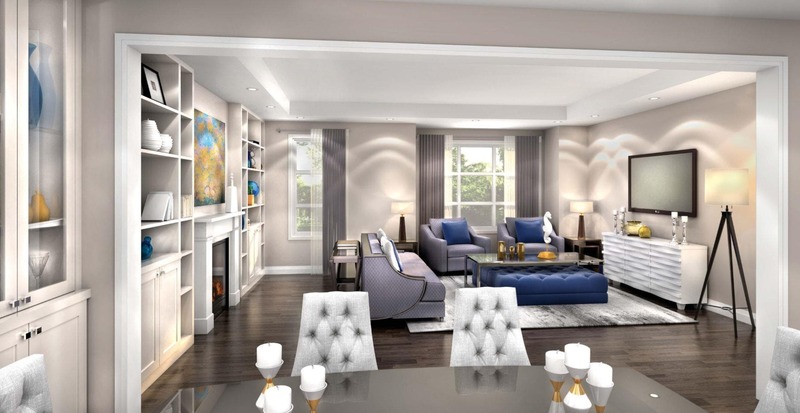 On Saturday, May 27th, Ideal Developments will launch its exclusive collection of French chateau-inspired semis at the Four Points Sheraton Meadowvale Mississauga. The preview event will be by appointment only for registrants, so be sure to register online to reserve a time slot. 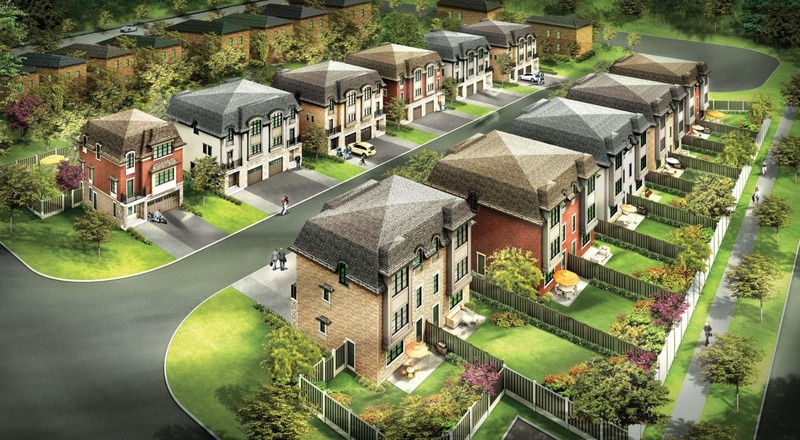 Located in an established residential neighbourhood, Meadowvale Lane offers three-storey, semi-detached homes with up to 3,039 square feet of living space. 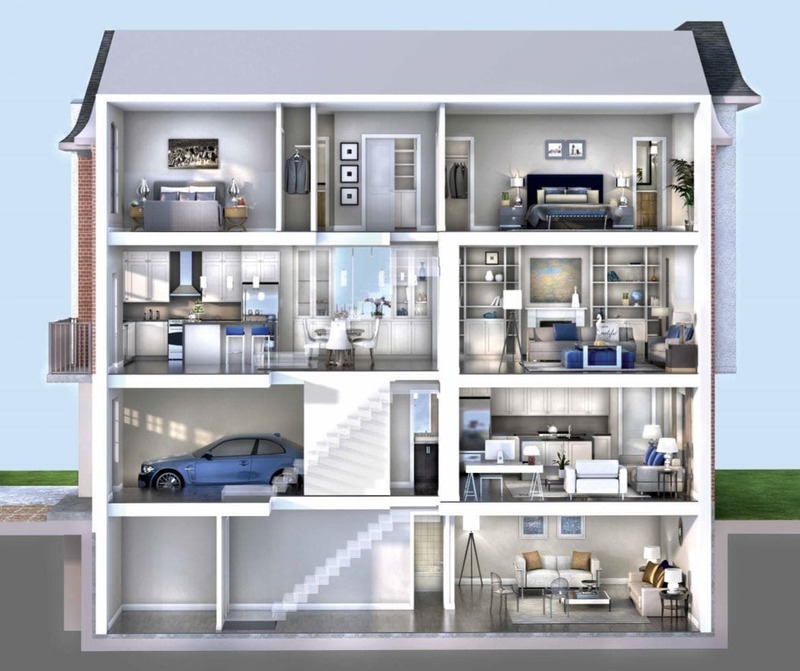 These family-sized abodes feature customizable floorplans to fit your lifestyle. Seeking a private in-law suite or an investment property? The homes at Meadowvale Lane offer the ultimate in flexibility. The open-concept interiors are characterized by soaring ceiling heights, sun-filled windows, classic oak staircases, porcelain or ceramic tile, and prefinished engineered oak hardwood flooring. Chef-worthy kitchens are outfitted with stainless steel appliances, islands with base cabinets for additional storage, granite countertops and extended height uppers with crown moulding. Other notable features include frameless glass showers in the master ensuites, three-car parking, central air conditioning, front load washer-dryer combos and large backyards that are perfect for alfresco dining. The interiors of Meadowvale Lane were designed by renowned designer Jackie Glass, whose work has been featured on Cityline and in national magazines such as Style at Home, Canadian Living, House & Home, Reno & Décor and Canadian Home Trends. Purchasers will also receive a private interior design consultation at the Ideal Decor Studio, where a team of experts will help you design the new home of your dreams. Located at 6532 Winston Churchill Boulevard, just south of Derry Road, the tree-lined neighbourhood is within walking distance of the Meadowvale Town Centre, Lake Aquitaine Park and Plum Tree Park. Grocery stores, restaurants, community centres and movie theatres are only a short drive away, as are Catholic and public elementary and high schools. Commuting is a breeze thanks to the development’s proximity to the Meadowvale GO Station and Highways 401, 403, QEW and 407. Don’t forget to register online for the Meadowvale Lane preview event on May 27th. For more information, email sales@idealdevelopments.com or visit idealdevelopments.com.